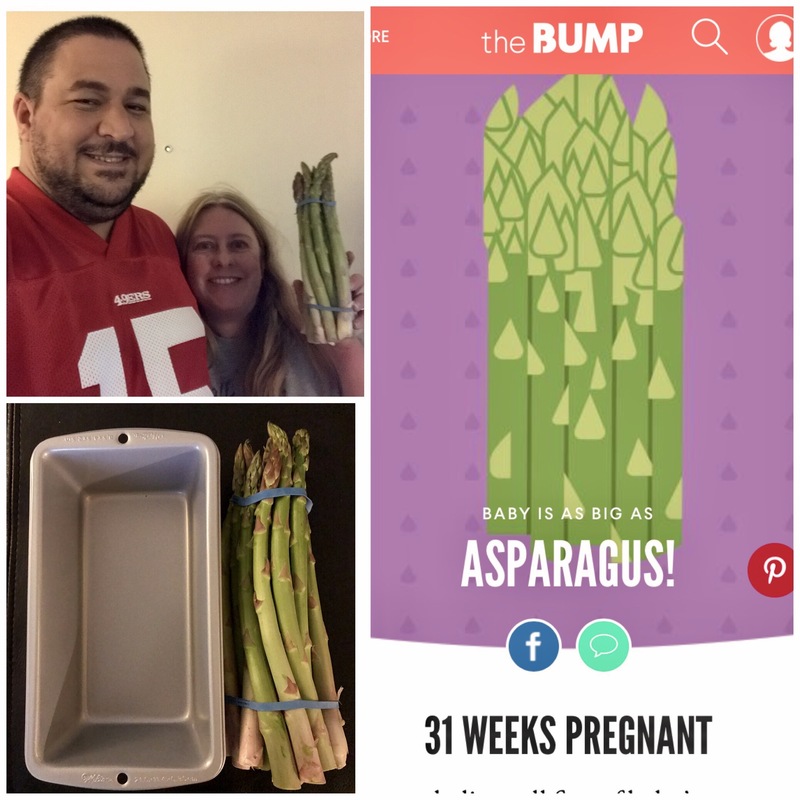 This week our baby is an estimated size of 16 and a half inches and 3 1/3 pounds, compareale in length stalks of asparagus. For another size comparison, I put the asparagus near a bread pan. 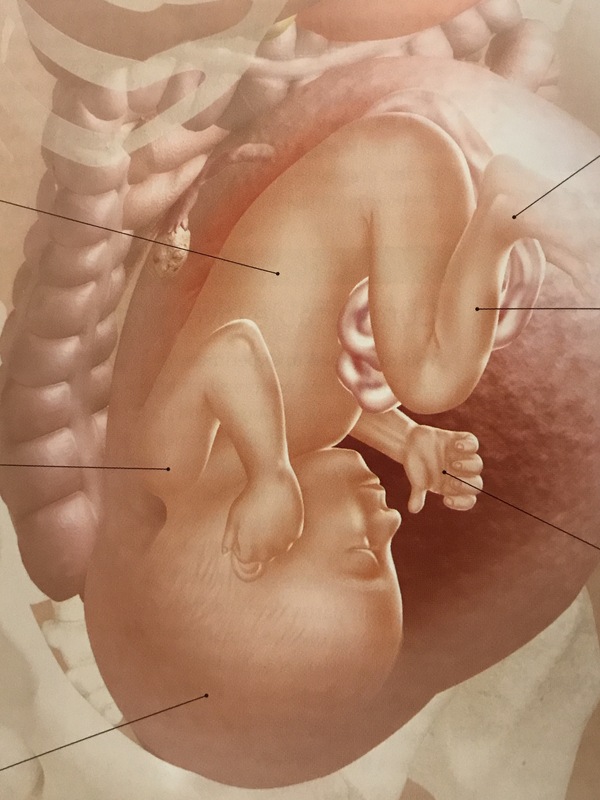 This week baby can turn his or her head for the first time and fat deposits are accumulating in his or her legs or arms. Baby Center predicts more arm and leg movement will be felt and that is certainly true today. I found the photos in “Youe Pregnancy Day by Day” very relevant to our baby’s development. 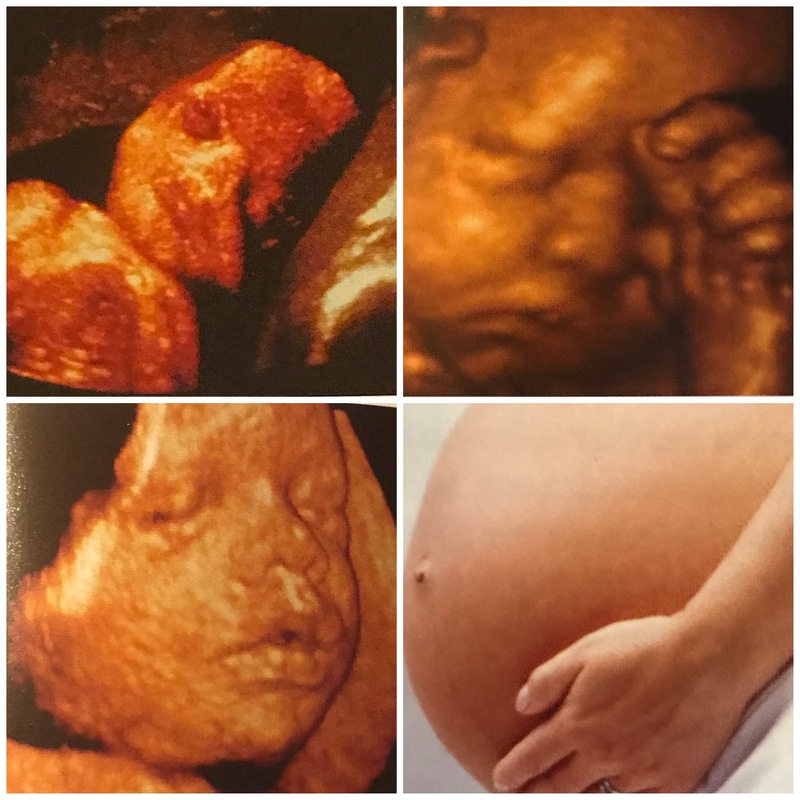 S/he had both hands up to his or her face for the growth scan, and similarly the pictured baby had one hiding his for or her face. The clear face photo on the bottom shows black space like many of our 3D photos did. The belly button photo shows that for many women this week is one in which their belly button has one will pop out. Though mine seems more shallow than it as prepregnancy, I still have the innie one overall I’ve had my whole life.